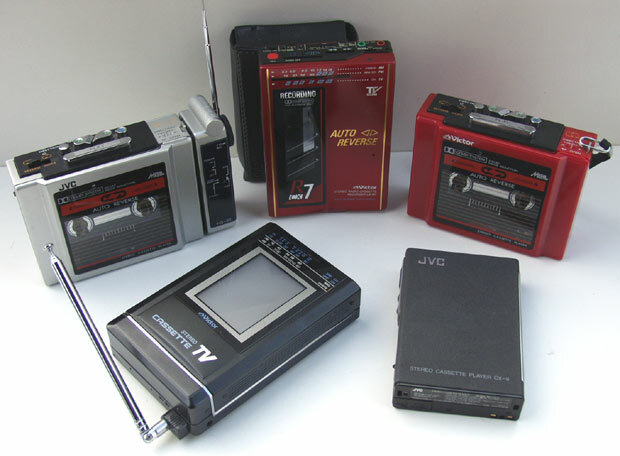 JVC made a brief appearance in the walkman market during the ’80s, but their personal stereos had style and innovative design. The CQ-F22K for example, had a detachable radio that mounted to the headphones for compact, wire-free listening experience. Perhaps sales were low, perhaps JVC’s walkmans weren’t built to pass the test of time but finding a personal stereo under this brand name today is pretty difficult. 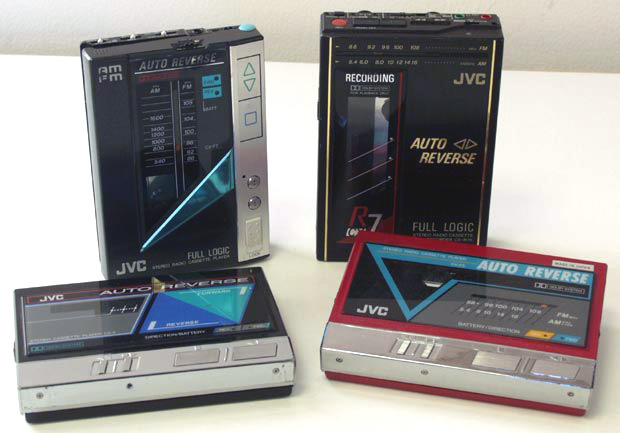 In Japan, JVC marketed products under the name Victor. 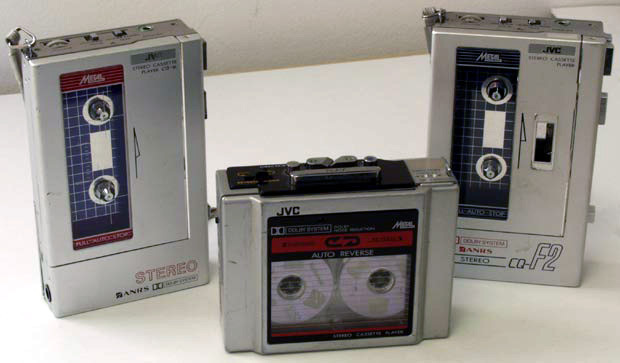 l-r: JVC CQ-1K, CQ-22K, CQ-F2K. l-r: JVC CX-5, CX-57K, CX-R7K, CX-F5K. l-r: JVC CQ-22, CX-9, CX-R7, CX-V9, CQ-11.